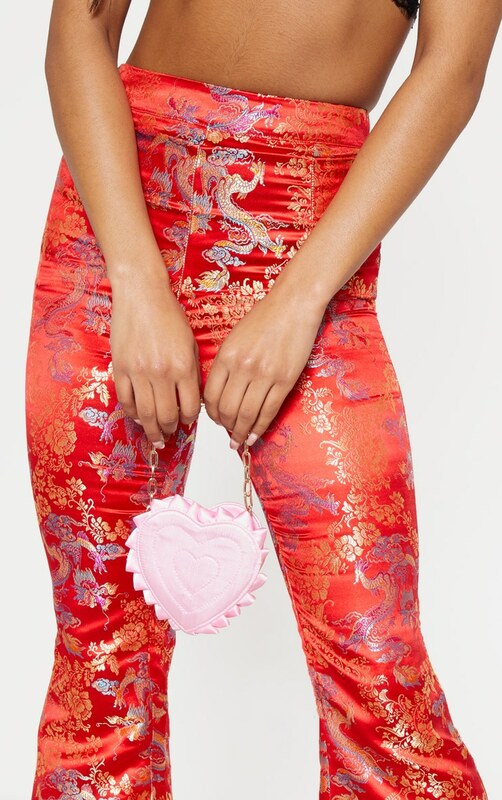 This dreamy mini bag is at the top of our hitlist this season. 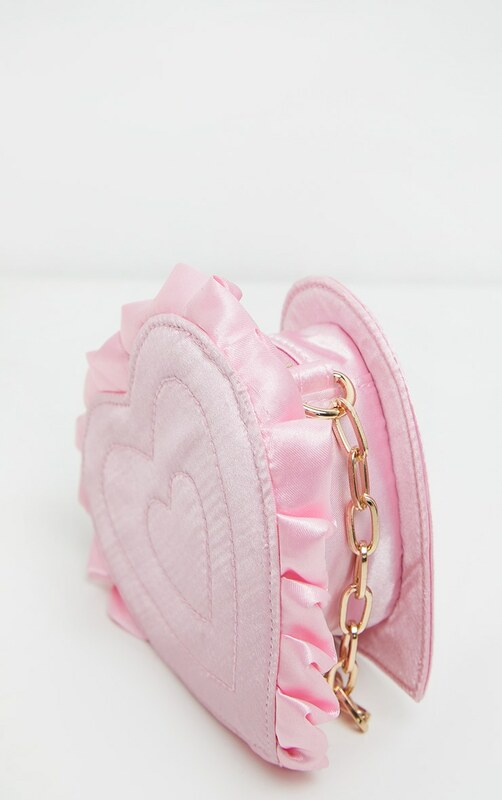 Featuring a pink satin fabric, a heart shape with a zip fastening and a gold chain. Super cute.